Freshman nightlife is some of the best. Everything is new, exciting, and a discovery! Below are 11 ways to make the most memories and friends you can along your journey. Well that and get some of the best late night bites! 1) Attend a sporting event! Year-round UW-Madison has sporting events going on at the Kohl Center. Go Badgers! The terrace, a movie, and friends? For free? Not a bad night. 4) Jump in lake Mendota! Post dance party, feeling hot? Take a dip in Mendota! Grab some late night pizza. Thee best campus has to offer! 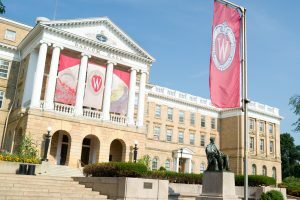 UW-Madison has a strong artistic theatre community. Check out if anything is going on! Another way to bond with your floor- movie night in the Den! Night before a game? Have a tie dye or t-shirt cutting night to achieve a trendy outfit for the football game. Go Badge and On Wisconsin! If you love dancing and meeting new people, this is absolutely for you!